AN ‘Invincible’ helped create an unbeatable weekend of football on Saturday and Sunday. 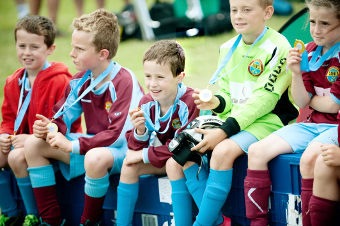 Goldsworth Park Rangers’ annual Football Festival proved a thumping hit with players of all ages, the best of the best netting themselves shining medals for their exploits. 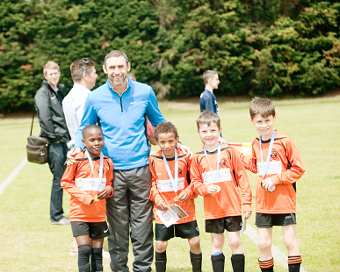 Guest of honour on the day was none other than Arsenal legend Martin Keown. The no-nonsense defender was part of the Gunners’ side who famously went an entire season unbeaten back in 2003/04. Ever a fan of the clean sheet, even Keown had to tip his hat to the youngsters who helped supply a mountain of goals for onlooking supporters on the sidelines. 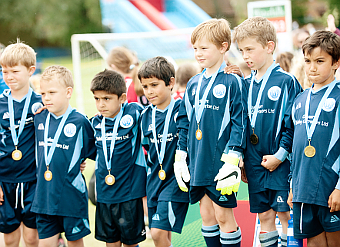 The competition was fierce, with clubs venturing forth from all corners of the county for the popular tournament. It is estimated that some 2,000 players laced up their boots over the two-day event. Goldsworth Park Rangers’ Club Secretary, Andy Morgan, hailed the festival a success before thanking everyone involved behind the scenes, saying: “We are indebted to our sponsors as well as everyone who volunteered to be part of the tournament’s success. Full interview with Martin Keown in this week’s News & Mail.